Bill Derry is a singer/songwriter/guitarist. His music is: Adult Contemporary Acoustic “Island Escape” Music, the carefree vibe of Jimmy Buffett and the Zac Brown Band. Make your event come alive with music by Bill Derry. Bill plays adult contemporary style music mixing the energy of rock with the laid-back vibe of Jimmy Buffett. His music includes pop, rock, R&B, blues and jazz and he is comfortable performing covers or original music. 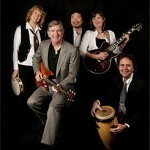 Bill’s original music is an eclectic mix of pop, rock, jazz and blues styles. Bill’s early influences include Billie Holiday, Les Paul, Chuck Berry, Van Morrison, Santana, Chet Atkins, Grant Green, Bill Withers, Bob Dylan, James Brown, Sam and Dave, Bob Marley and 60’s rock. More recent influences include Ed Sheeran, the Zac Brown Band, Shawn Mullins, Jack Johnson, John Mayer, Uncle Kracker, Sugar Ray and Counting Crows. Bill’s music is great for venues with limited space or where it is important to play quietly but with fun and energy. Here’s a video of Bill’s band performing cover songs at Shilshole Bay Marina. If you want your party rocking and people dancing, you want the Bill Derry Band. They play high-energy music from several decades that people know and that gets them up on their feet.